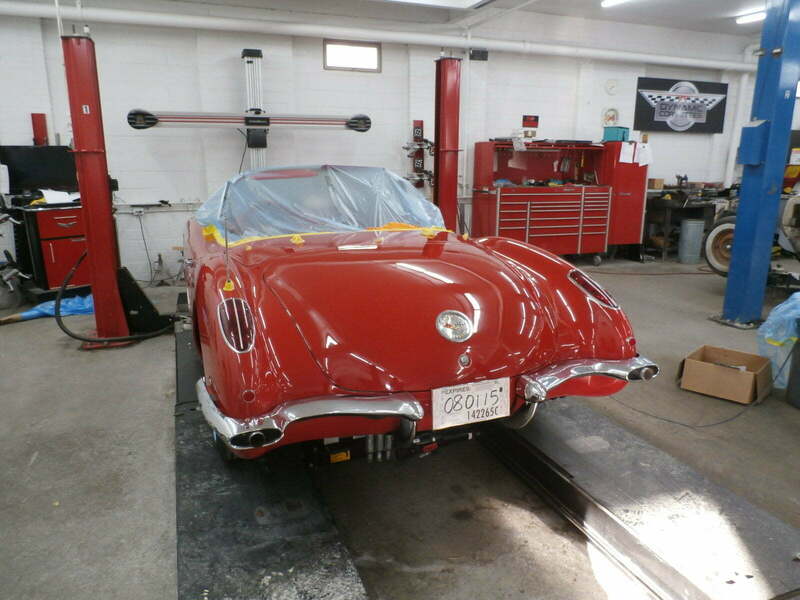 Just like new, that’s what you want for your restored Corvette. 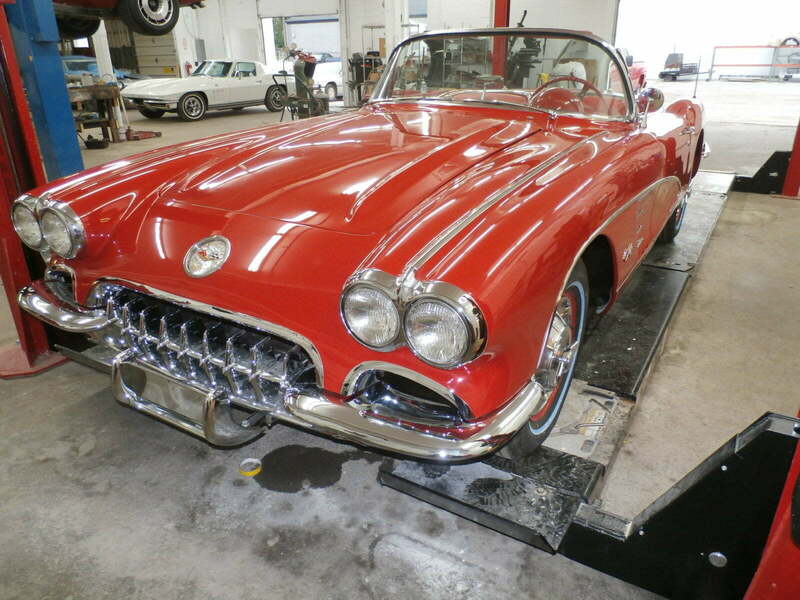 Once upon a time that Corvette in your garage was smooth, sleek and shiny. 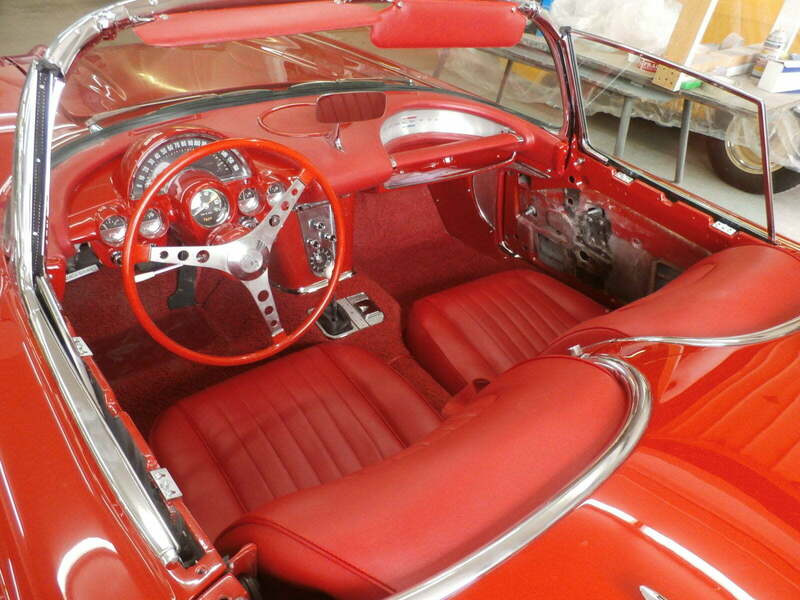 The engine had a beautiful sound, and the interior was clean and fresh. 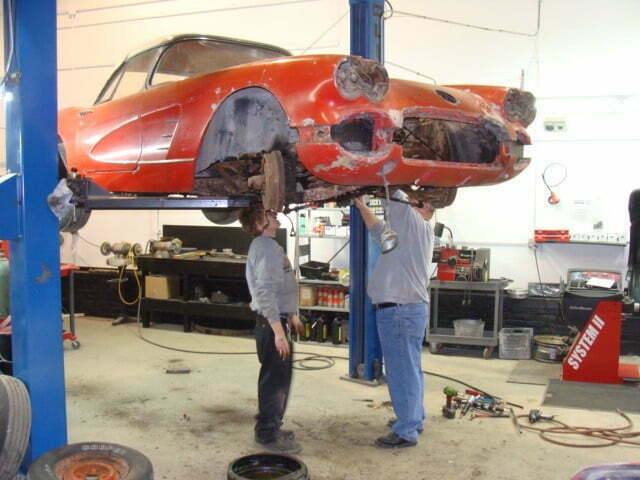 But time has taken its toll, and that beautiful machine is showing its age. 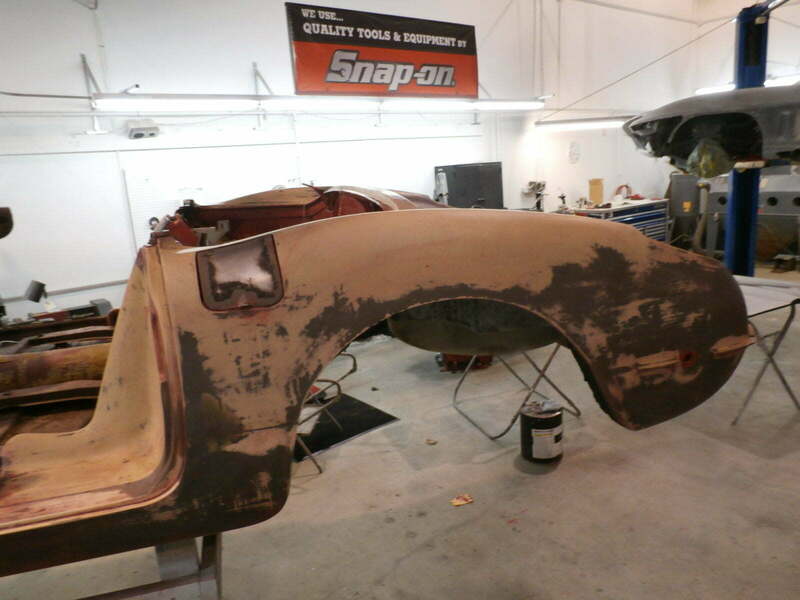 The chrome is a bit pitted, the frame is weak from rust, and the paint no longer shines. 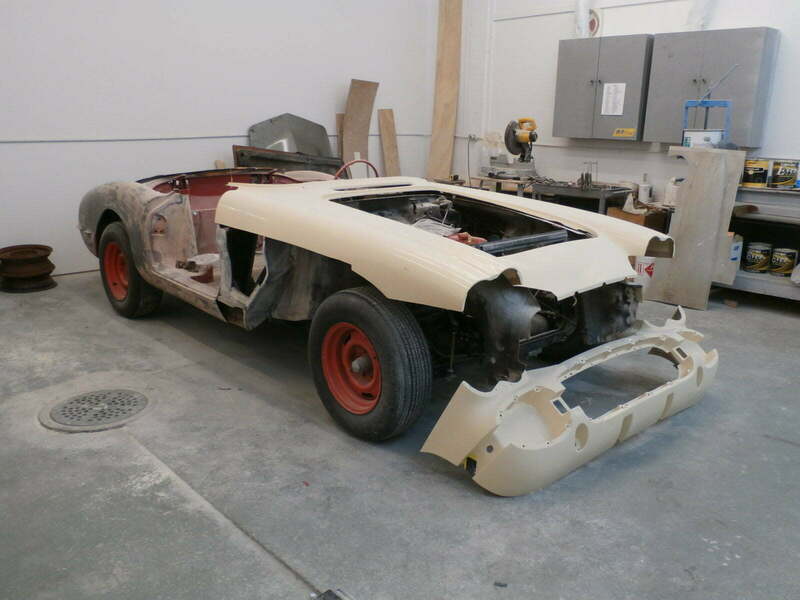 All is not lost! 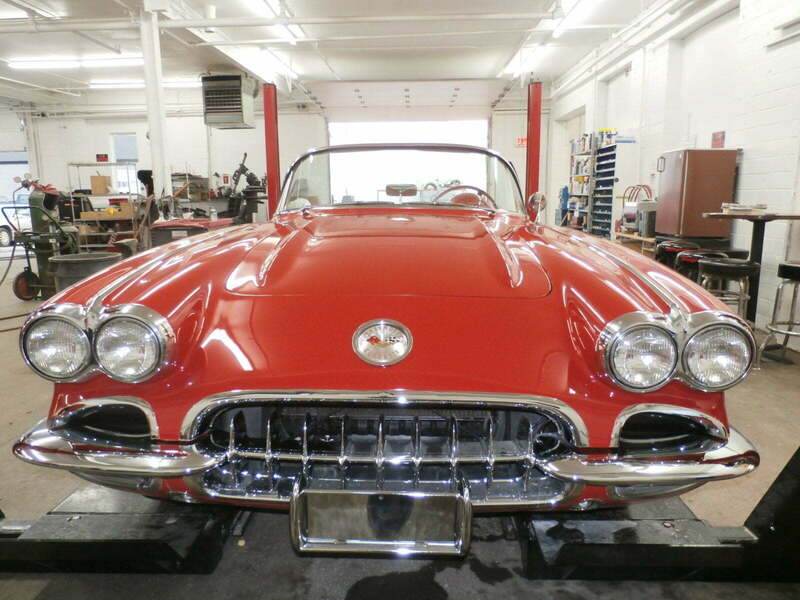 Your classic American sports car can be gorgeous once again. 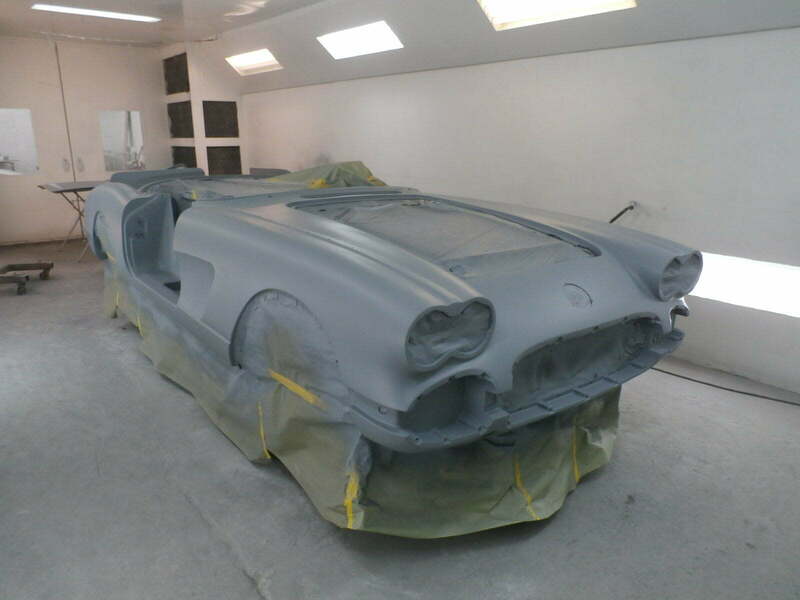 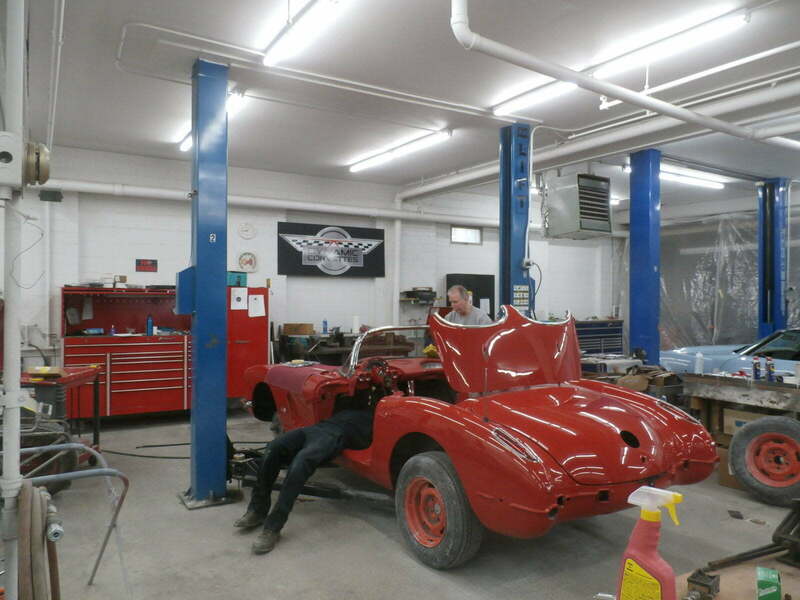 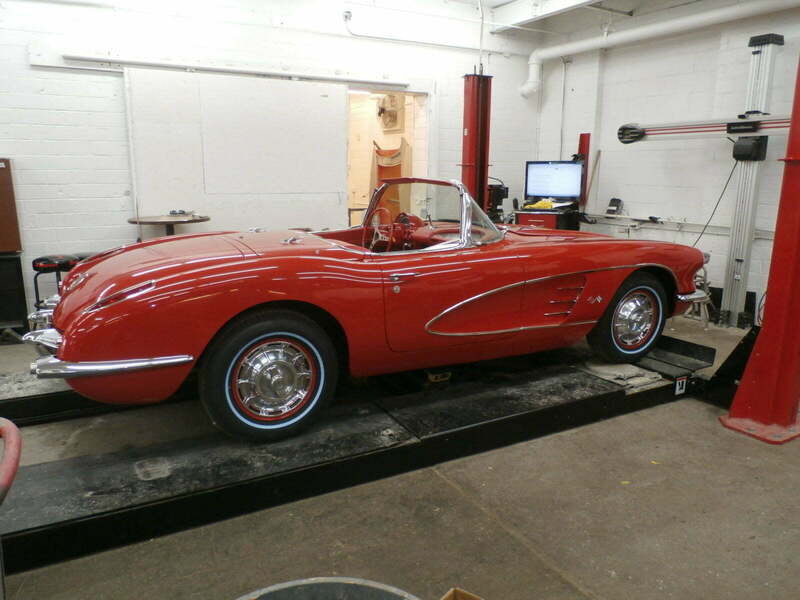 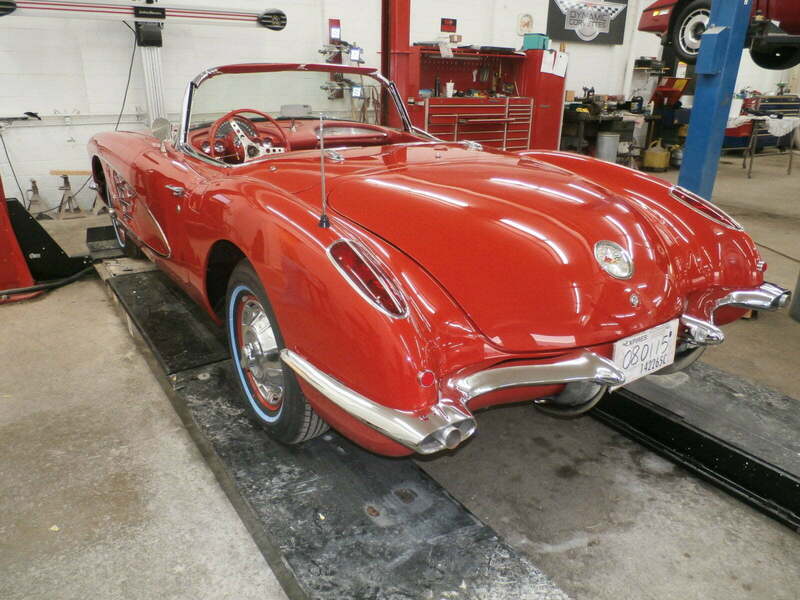 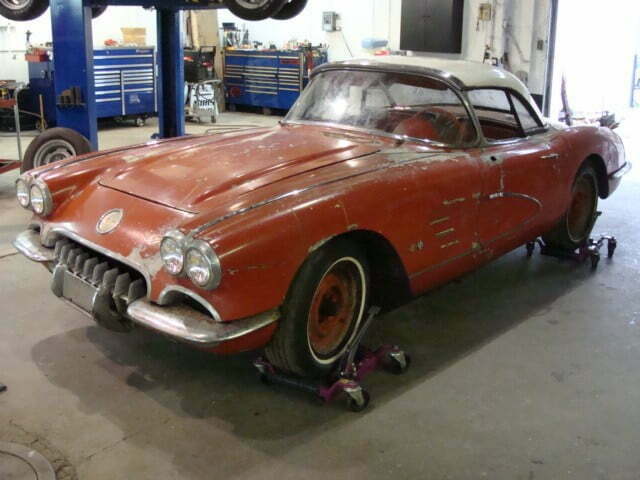 At Dynamic Corvettes we specialize in Corvette Restoration. 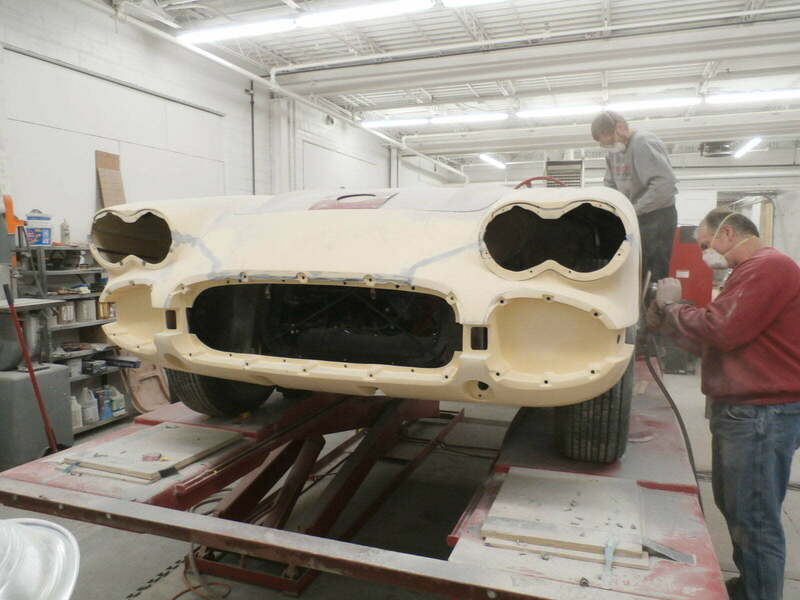 With almost 70 years of Corvette experience, we have the skills to do it right. 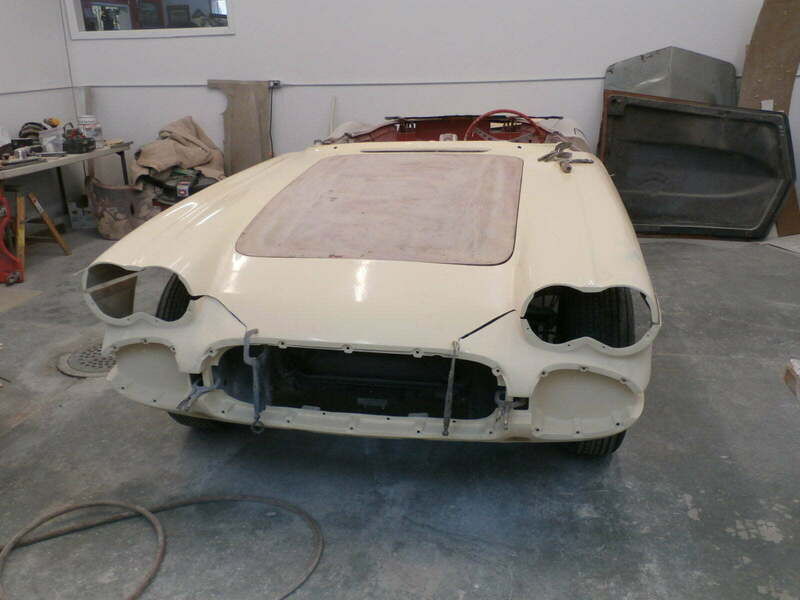 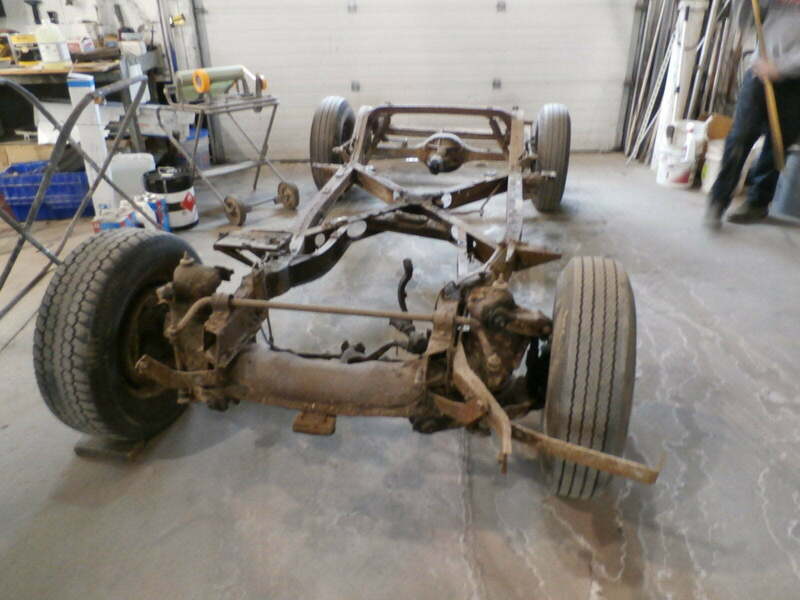 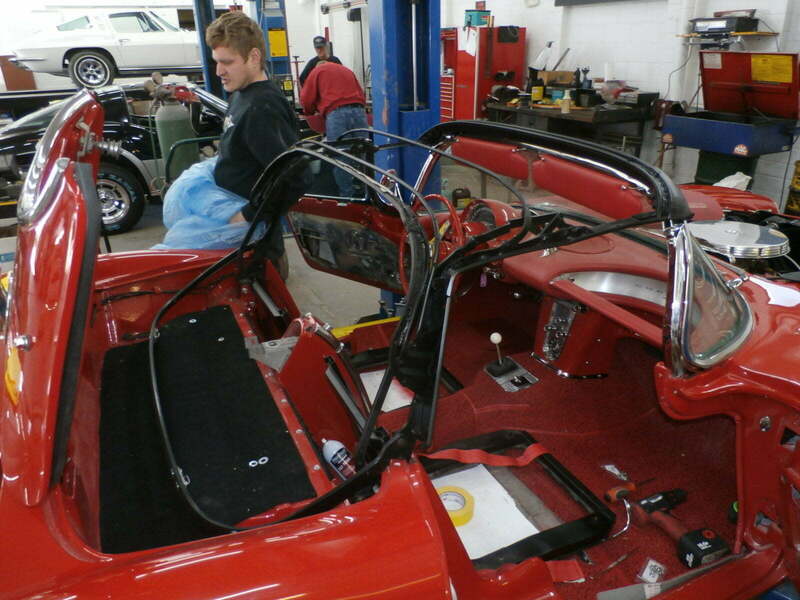 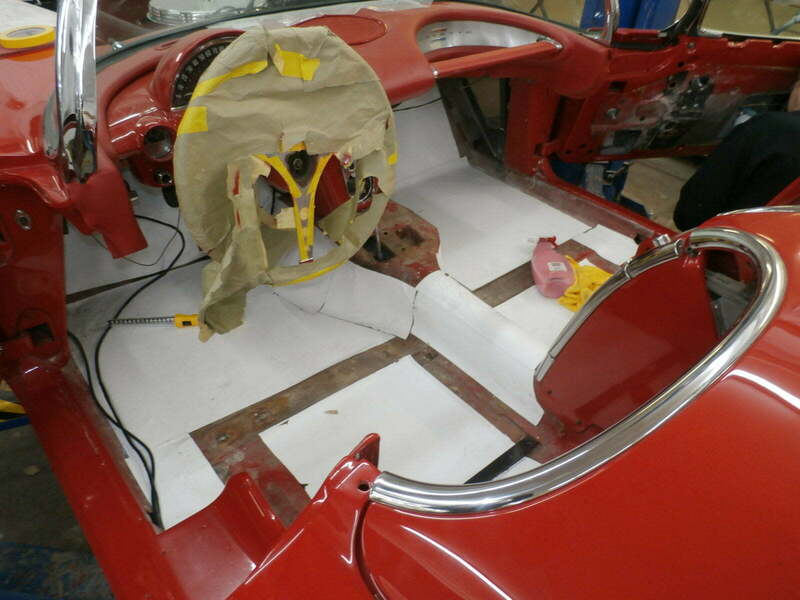 The interior of the car is completely removed and the body is separated form the chassis. 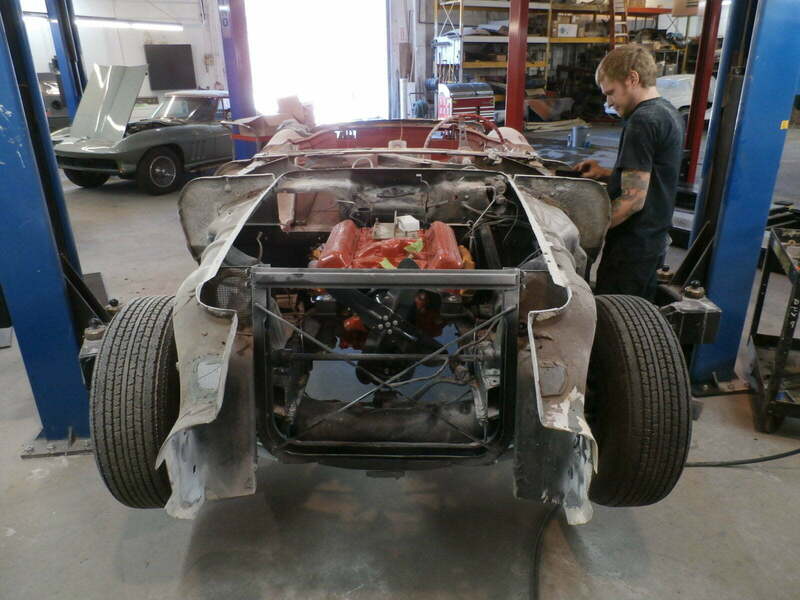 The engine, transmission, and rear differential are then removed leaving just the bare frame. 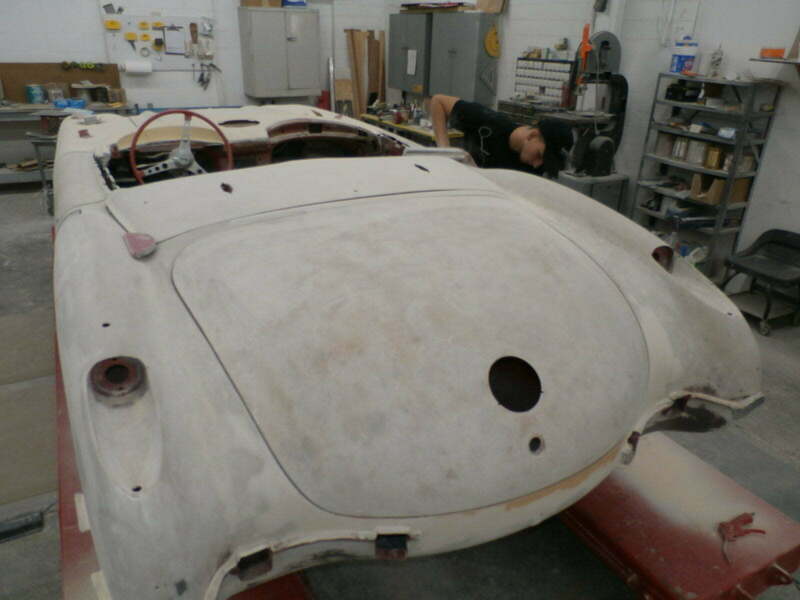 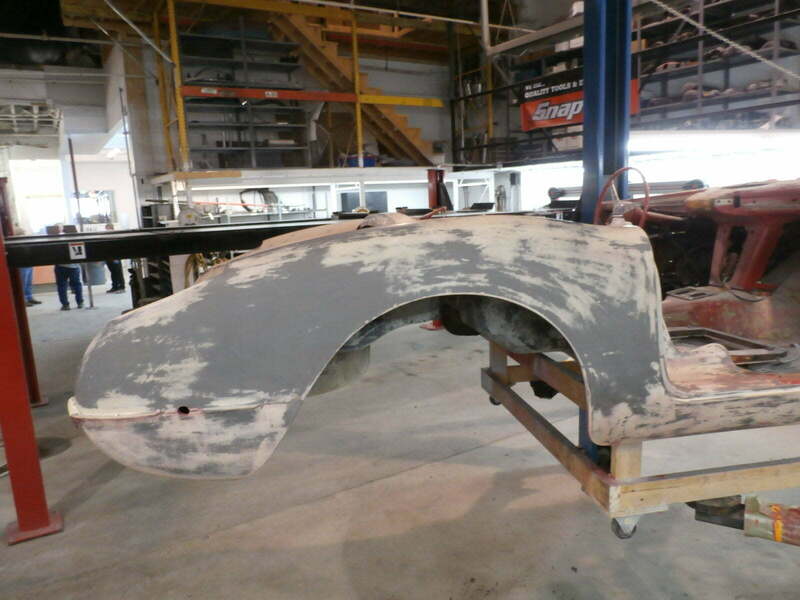 After the car has been disassembled, the heart of the restoration process can begin. 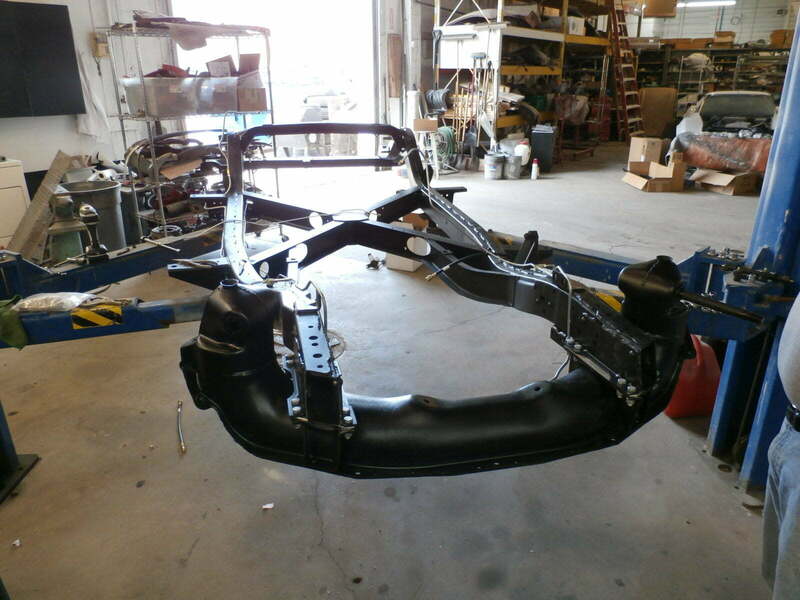 The frame is placed on the frame bench and inspected for any cosmetic and or structural deficiencies and repaired as needed. 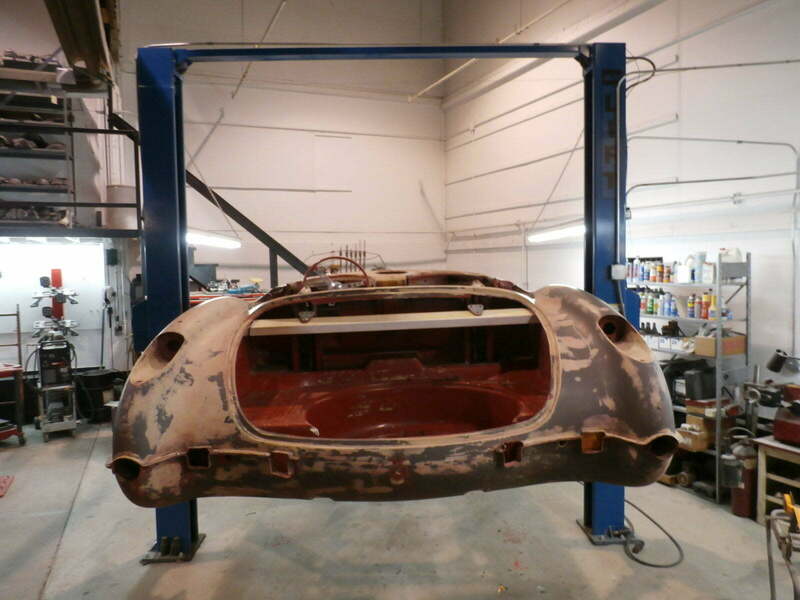 Once the frame is repaired or has been deemed good it is acid dipped and e-coated. 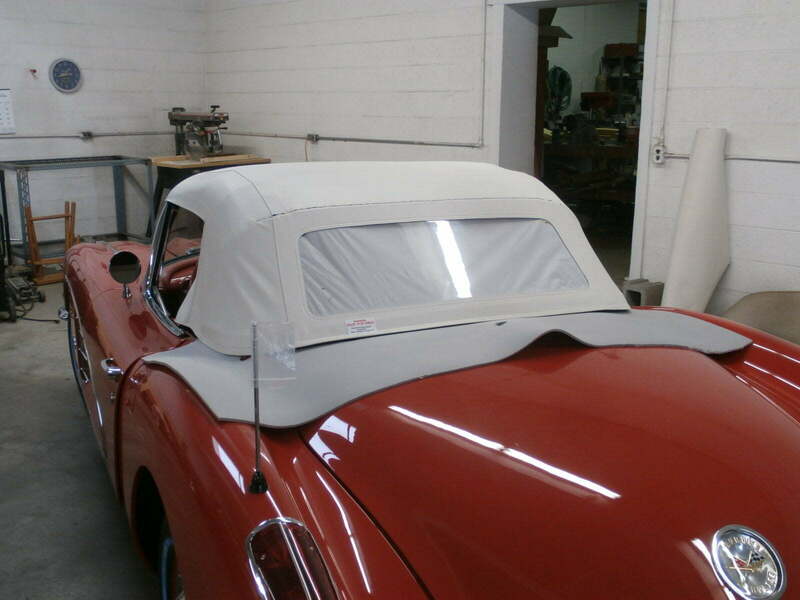 This method is preferred over sandblasting for it’s durability and ability to protect the frame inside and out. 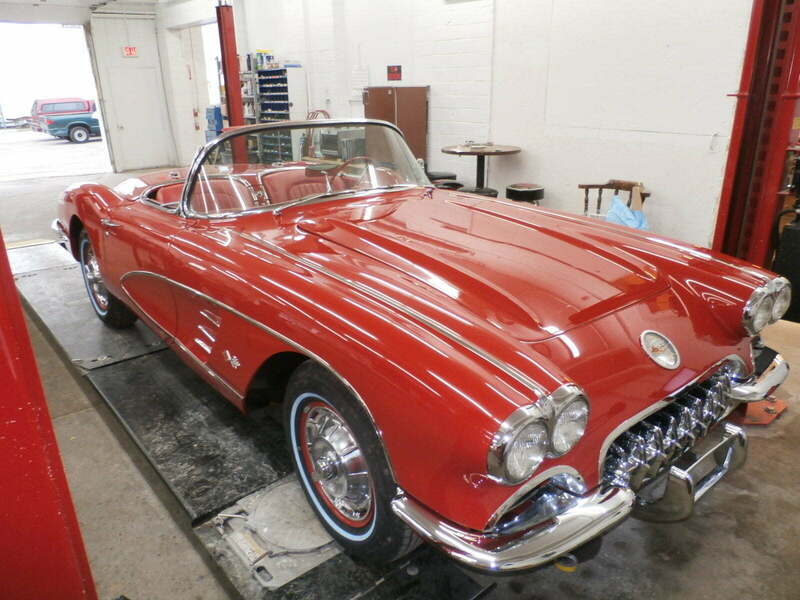 The engine and transmission are rebuilt to exacting standards to look and perform like new, with all the power your Corvette had on the day it was built. 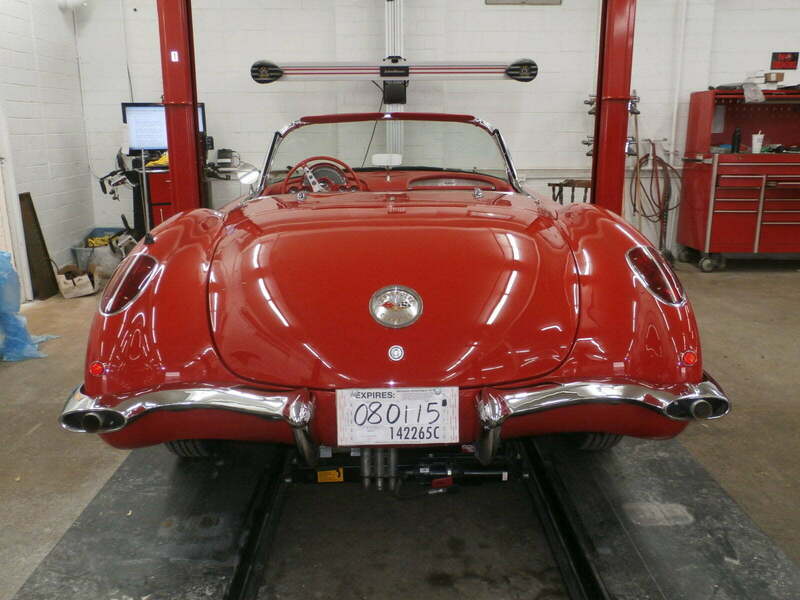 Following the same attention to detail, both the front and rear suspensions and the rear differential are rebuilt to renew the ride and handling you would expect from your Corvette. 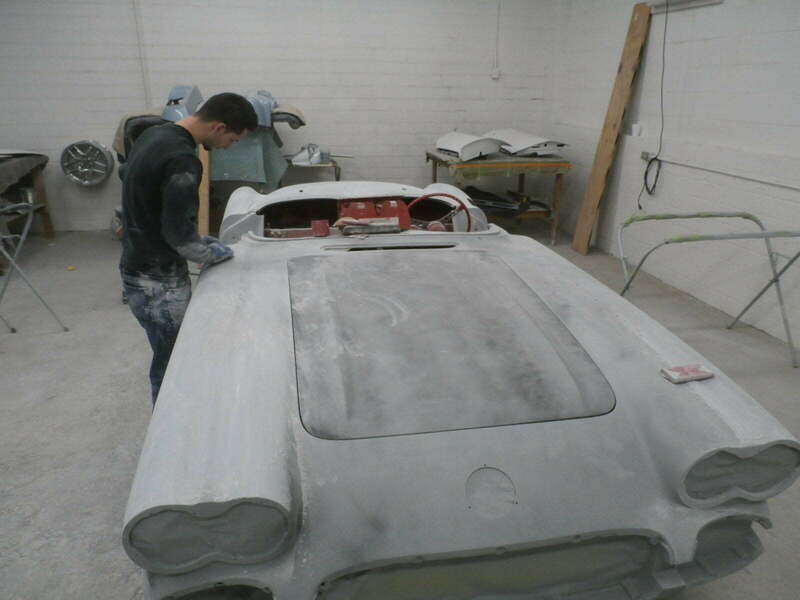 With the rolling chassis in place, the body is reattached, all existing paint is stripped and any repairs to the body are made and a magnificent show quality paint job is then applied. 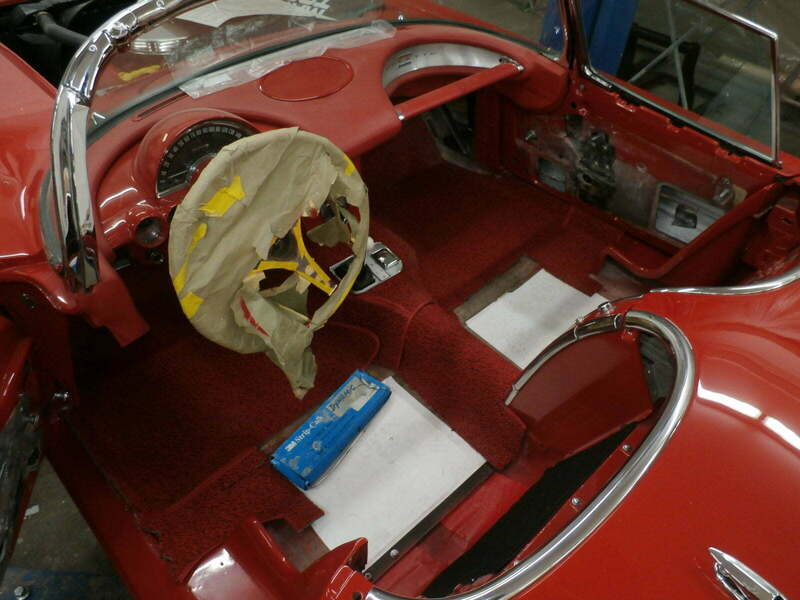 The interior is meticulously restored, replacing items as necessary and restoring and reconditioning items such as loose tilt and column and worn gauges. 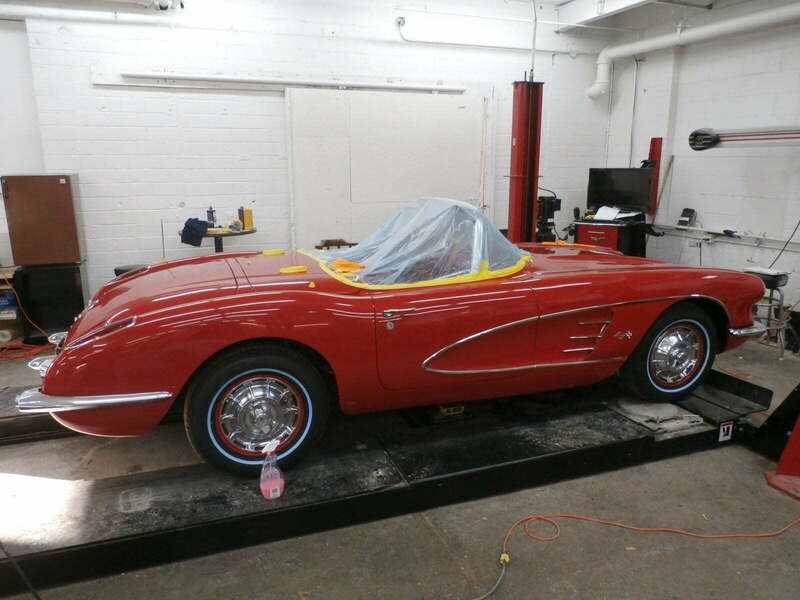 When the job is complete your Corvette is given its final inspection and is prepped for delivery.